This week I’d like to introduce you to another good friend, Sam Baker. She is the author of the novel Variant Wars and editor and contributor for the anthology Winter Neverland. There are many things they call the Variants…diseased, dangerous, cursed. But it’s not all true. The Pures have attempted to eradicate the Variant people for nearly a century. After the first three Variant Wars, the Variants are barely surviving in the unforgiving world of theirs. The inhuman things they can do strikes fear in the hearts of the Pures. And now, some anti-Variant groups like the Patrol have vowed to exterminate the Variants. How far will the Variants go until they stop trying? How long with they fight to defend their people? These are the raw truths of the Variant Wars. This is what the people must do to protect their family and friends in the face of disaster. No one will survive without cost, and some may not survive at all. This is the story of the Fourth Variant War. This is the story of its prisoners. Sam Baker is a science fiction author with an interest in post-apocalyptic worlds. Her books also take on many aspects of the fantasy and dystopian genres. In her stories, she focuses on unfortunate conflicts of humanity and what her characters must do to survive their grim realities. 1. Tell us a little about you and what you’re working on? I’m an author trying to make it in this world, trying to share my work and help other authors along the way. I’m also a college student surviving off of coffee, bagels, and a fear of finals. I first fell in love with books before I could read. My dad read The Lord of the Rings to me when I was a kid, and I was instantly hooked. One of my favorite books that I read as a kid would probably have to be The Three Musketeers because it’s full of action and companionship. One of the books that has changed me the most is Big Fish by Daniel Wallace. This book taught me that it’s okay if your life seems mundane because the stories you tell can be as creative and magical as you want. And in the end, you’ll likely be remembered for the stories you leave behind, fictional and true. The last book I read was Oliver Twist. My current favorite book would have to be The Road. I would have loved to meet Shel Silverstein because his poetry fueled much of my childhood (and adult) imagination. I first knew I was a writer before I even knew how to write. I loved creating new stories as a kid. I would tell my mom my stories and have her write them down for me before I knew how to write. My first ever story was about two kids who got stuck on a pirate ship and had to try and survive their journey across the sea. The most difficult part of my writing journey was admitting to myself that writing was something I needed to do. Once I came to terms with that, writing was freeing in a way. The most enjoyable part of my writing journey is when I get to know my characters on a deeper level with each page written. I also really enjoy talking to other people about my writing and hearing their different theories about how the story is going to continue on. I don’t know if I received this advice or realized it myself. But my best writing advice is to write every day and write everything down (even if you think it’s stupid). These two things have helped me immensely. 11. Tell us about you current project and any others you’re working on. I have a few projects I’m currently working on. 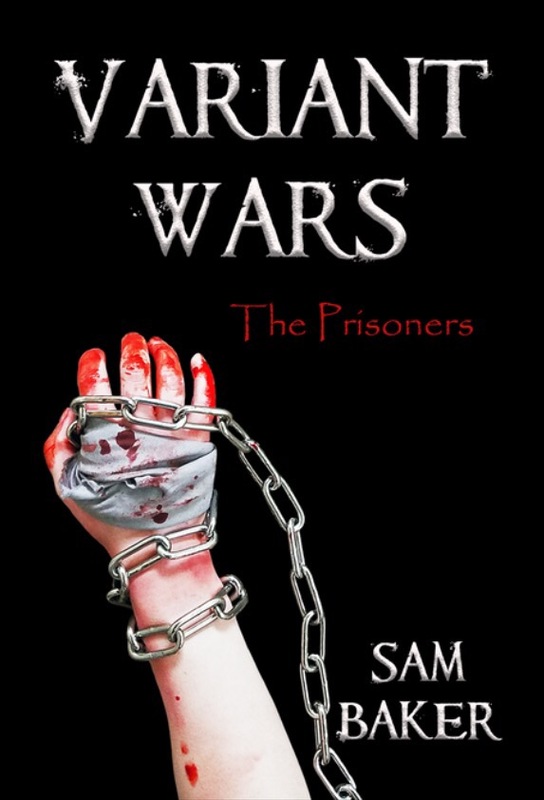 I’m in the process of revising my book Variant Wars: The Prisoners in preparation to release the second edition re-print of it next year. Another project that I’m excited to announce is that I just finished writing an anthology of winter themed short stories with five of my close author friends. Our anthology Winter Neverland is currently available on Amazon and Barnes and Noble. I have a love for film. When I’m not writing or reading, I’m usually spending time with my cats and watching movies. Given the opportunity, I would become an instant expert in Neuropsychology because it was once my career goal (before writing thankfully took over my life). I know it’s not possible, but I’d love to visit Ancient Rome. Their culture is so fascinating. The best way to contact me would be through Twitter @SamBakerWrites. I also have a website, SamBakerWrites.com that I update occasionally with writing tips or news about what’s going on in my life. And for those who love snail mail, my PO box is listed at the bottom of my website! Thanks for telling us a little about you! I can’t wait to get my copy of Winter Neverland! If you’re interested in reading Sam’s books you can find them both on Amazon and Winter Neverland at Barnes and Noble as well.